1. Write the procedure for setting out of a 4m X 3m room by tape only. Assume wall thickness of 30cm. 2. 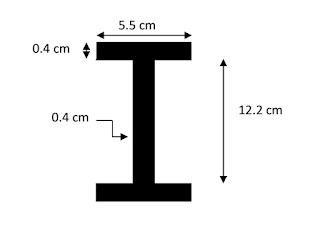 Compute area and volume of opening in a room of wall thickness 20cm. 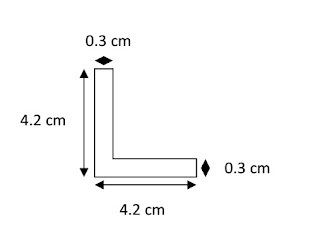 Calculate volume/ area of timber/steel required. 1. Write the procedure for setting out of a 4m X 3m room by using tape and cross staff. Assume wall thickness of 30cm. 2. Calculate the number of clay burnt bricks required to construct a wall of size 5m X 7m and thickness 20cm, having an opening for window of size 1.3 m2. Assume the size of brick according to standard dimensions. 1. Write procedure of constructing a 1 ½ brick wall of 50cm height using English bond. 2. Find the moment of inertia of the following steel section. 1. Write procedure of constructing a 2 brick wall of 50cm height using English bond. 2. Find mass moment of inertia of the following steel cylinder. Specific gravity of steel is 7850 kg/m3. 1. Write the procedure to find the compressive strength of clay burnt brick. If the compressive strength of brick was found to be 160kN, find the compressive stress and write the inference. 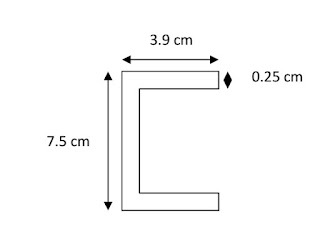 Assume the size of brick according to standard dimensions. 2. Find mass moment of inertia of the following steel cuboid. Specific gravity of steel is 7850 kg/m3. 1. Write the procedure to find the compressive strength of clay burnt brick. If the compressive strength of brick was found to be 160kN, for hollow brick as 100kN and concrete cube as 780kN; find their compressive stress. Assume the size of these according to standard dimensions. 2. Find the moment of inertia of the following I steel section. 1. Write the procedure for setting out of a 5m X 4m room by tape only. Assume wall thickness of 20cm. 2. Find mass moment of inertia of the following hollow steel cylinder. Specific gravity of steel is 7850 kg/m3. Thickness of steel cylinder is 3mm. 1. Write the procedure for setting out of a 5m X 3m room by using tape and cross staff. Assume wall thickness of 20cm. 2. Find the moment of inertia of the following angle steel section. 2. Compute area and volume of opening in a room of wall thickness 30cm. 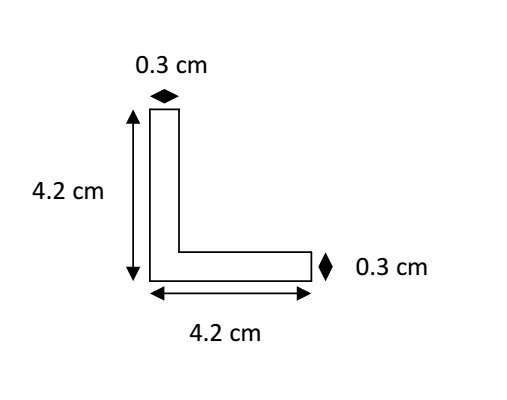 Calculate volume/ area of timber/steel required. 1. Write the procedure to find the compressive strength of clay burnt brick. If the compressive strength of brick was found to be 140kN, for hollow brick as 90kN and concrete cube as 820kN; find their compressive stress. Assume the size of these according to standard dimensions. 2. Find the moment of inertia of the following channel steel section.